We've been a bunch of busy bees. We have quite a lot of new releases that've come out that we want to make sure you all know about. We have some new Dark Age releases. 22 New releases and a restock of 47 favorites from Dark Sword Miniatures! 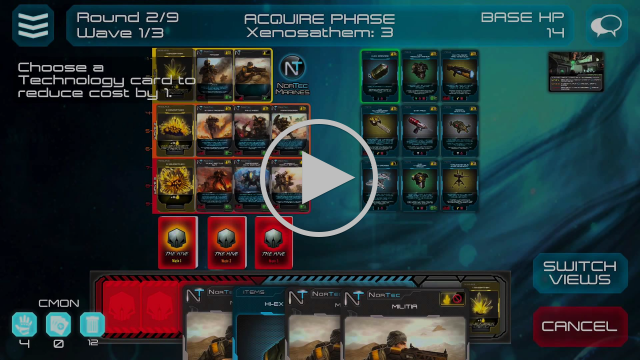 Xenoshyft iOS launched - sale 60% off! Crystal Brush 2015 winners announced! The Crystal Brush Awards 2015 are over and the winners have been announced! Stop! And take a look at these! New models and a restock from Andrea Miniatures. CMON Contest 27 - Rivet Wars Painting Competition winners announced!!!! Thank you SOOOOOOOOOOOOOOOOOO much for all of your entries for the Rivet Wars Painting Competition. We had 144 entries in total, making this one of the biggest painting competitions on CMON! And the contest with the overall highest quality entries! Great job guys! CMON Contest 27 - Rivet Wars Painting Competition! CoolMiniOrNot, Spaghetti Western Games, and Jogando Offline team up to bring the world its first viewing of Arcadia Quest! Expertly sculpted and wonderfully imagined, Enigma Miniatures offer some of the best fantasy miniatures you can find. When it comes to high quality fantasy miniatures the riddle of steel is best answered with white metal from Enigma and we have a restock. The flesh can always be made stronger! Out from the twisted wreckage of civilization in the wastes of Samaria march the bloodthirsty Skarrd. This month we have 3 new releases from Dark Age including the 2012 Immortals Tournament winner Jonathan Woejcik's championship prize model ANG-1E designed after his wife. Providing high quality miniatures to make all your fantasies come true! Take your fantasy game to the next level with these amazing models restocked from Gamezone Miniatures! Happy Thanks Giving.... Sale Sale Sale!!!! Happy Thanks Giving! It's that time of the year again! Eat a lot of turkey and do a lot of shopping. 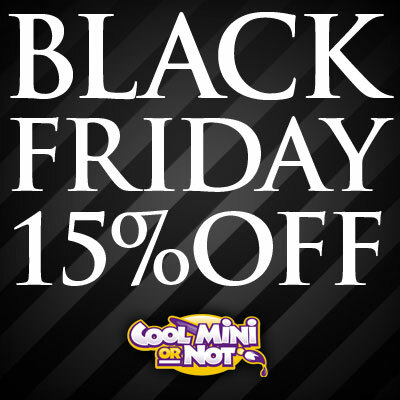 As usual, we will be running our annual Black Friday thru Cyber Monday sale, everything in the CMON On-line store will be 15% off! Wrath of Kings - Final day! Wrath of Kings Kickstarter Update: Kingdom Death Xover! 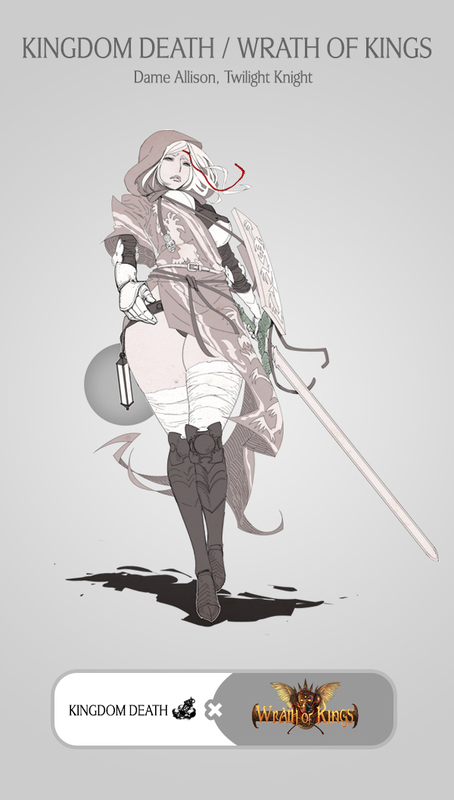 We're super pleased that the boys and girls at Kingdom Death:Monster have agreed to let us realize a version of the Twilight Knight right in Arikania! This model is a bit of cross over fun, and isn't tournament legal but will have rules.